The customs sector should build on the positive outcomes in the past two years and further reduce procedure processing time, an official told a workshop in Hanoi on August 11, adding that a one-day reduction in customs clearance time in cross-border trade could save the economy more than 1 billion USD per year. According to the World Bank, Vietnam ranked 75 th out of 189 economies in the cross-border trade index which reflects levels of facilitation for import-export activities via sea routes last year. Within the Association of Southeast Asian Nations (ASEAN), Vietnam was placed only higher than Laos (156 th ), Cambodia (124 th ) and Myanmar (103 rd ). Nguyen Dinh Cung, Director of the Central Institute for Economic Management (CIEM), called on the customs sector to provide all possible support for businesses, given only one-hour delays in administrative procedures could result in merchandise sitting at ports for additional days. Under the second Resolution issued by the government in March, the two goals set for 2015-2016 include improving the business climate and simplifying administrative procedures. It also set the target that Vietnam achieves the ASEAN-6 and ASEAN-4 averages in improving the business environment by 2015 and 2016, respectively. Cung said the goals are feasible if drastic actions are undertaken. Counter to his view, Vice President of the Vietnam Association of Small and Medium Enterprises Nguyen Van Than said the goal of achieving the ASEAN-4 level by 2016 is overly ambitious. 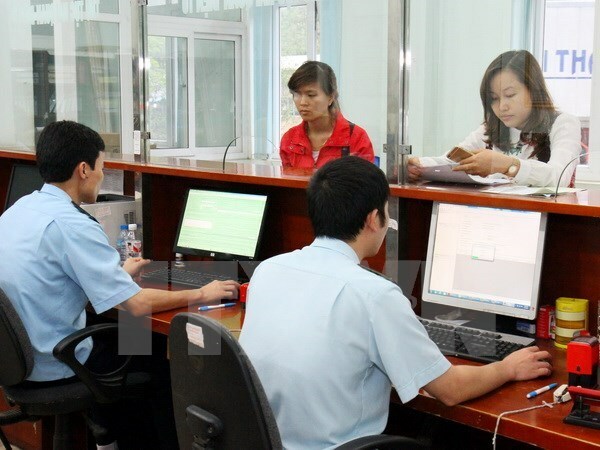 Vu Ngoc Anh, Deputy Director General of the General Department of Vietnam Customs, said the sector has streamlined procedures and coordinate with ministries and agencies in adjusting regulations in order to connect with the e-customs portal. He also called for more drastic action and closer coordination among ministries and sectors along the way up to meeting ASEAN-4 standards.